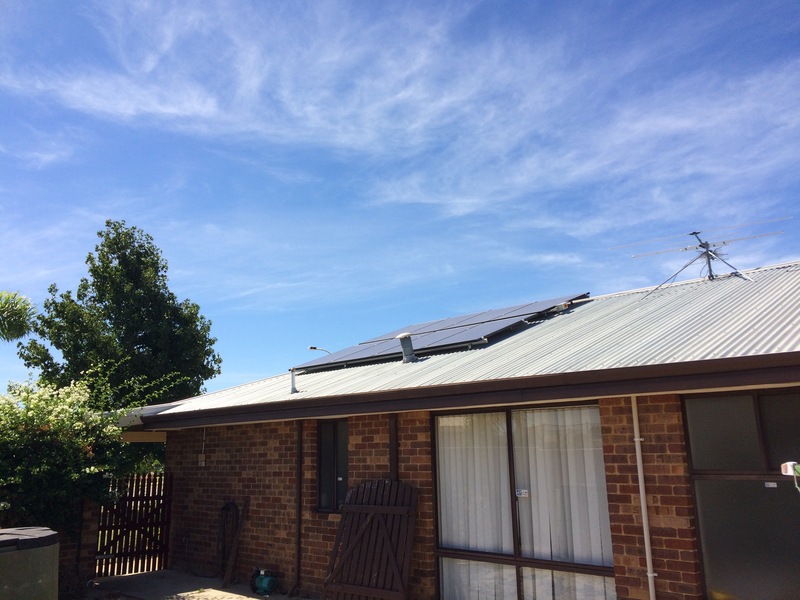 Infinite Energy is a leading provider of solar energy systems in Australia for both residential and commercial applications. Founded in 2009 with a head office and solar panel test facility located in South Perth, Infinite Energy has installed solar on over 15,000 homes, businesses and government facilities. Dedicated to only stocking the highest quality products on the market, Infinite Energy stocks panels from SunPower, WINAICO and Canadian Solar, and inverters from Fronius, SolarEdge and SMA. 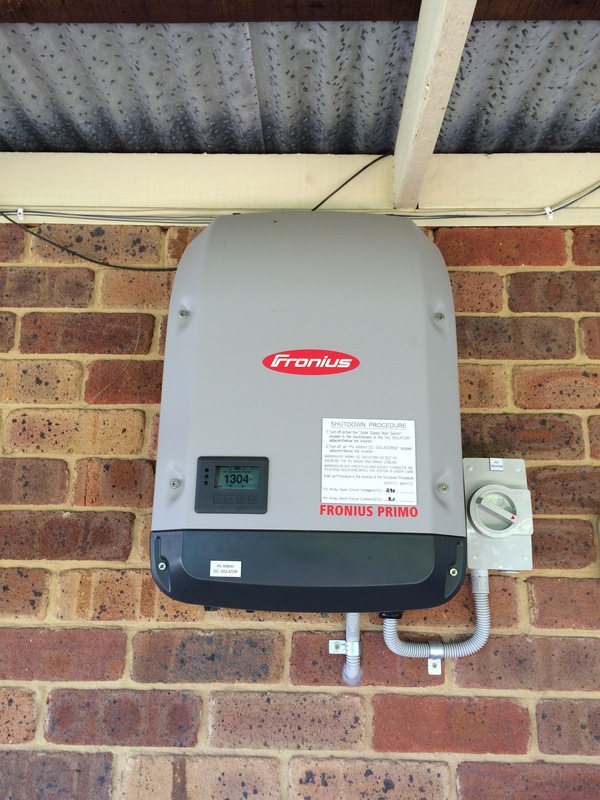 Infinite Energy is also an approved Tesla Powerwall reseller, and in 2016 installed the first ever Powerwall in WA. Infinite Energy also stock solar batteries from Sonnen, Fronius and LG. Thanks for taking the time to leave your wonderful review! I'm very pleased that you've had such a positive experience. Hopefully your replacement WiFi module is not far off and the issue can be quickly resolved. In the mean time, I hope you continue to enjoy your system and thank you for choosing Infinite Energy as your solar provider. The pre-purchase advice from your consultant (Matthew) was well informed and he was able to explain the concepts in simple enough terms, very thorough and detailed through the whole quotation and decision making process . A big thank you to the installation team for a job well done. Our premises left neat and tidy and all rubbish removed (I was pleasantly surprised) and most importantly workmanship was of a good standard. Your tradesmen (Jared and Dylan) were prompt, very pleasant to deal with and were very professional and efficient during the whole installation process. Installation was completed as described with no fuss and within the specified time frame. The RAC(WA) members discount was an great little saving as well. I certainly can recommend Infinite Energy to any friends or colleagues who are considering solar panels. Thanks so much for your stellar review! It's wonderful to hear from our happy customers, and sounds like you are very pleased with your experience. I hope you enjoy your new system and all its benefits. Installation not completed in one day (as promised). Was chased for money even though the system was not installed. Thanks for taking the time to leave your review, we value all feedback. I'm sorry to hear the system wasn't installed within the day like you were told, and apologies for any inconvenience this caused you. 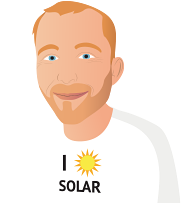 I understand the installation has been completed now, so I hope everything is running smoothly and you are enjoying the great benefits solar has to offer! Thanks for taking the time to leave us your great review! System fully explained and backed up with performance data. Thanks for your stellar review! Very pleased to hear what a positive experience you had with us. Thanks for leaving us your great review! This was the only company who used facts and figures without any pressure. They never bad mouthed another company and we're always willing to answer my follow up questions with detailed specs on the product that matches my own independent research. Highly recommend. Thanks for leaving us your wonderful review! I'm so glad we were able to provide the information and answers you were after. Hope you continue to enjoy your new system and all its benefits! Thanks so much for your stellar review! Great to see you've had such a positive experience with us. Thanks so much for your wonderful review! It's to see you've had such a positive experience with us. Everybody I spoke to from first contact to final install were extremely efficient and helpful and were able answer my questions which were based on your suggestions. May I suggest you contact them. Thanks for taking the time to leave your review. Glad we were able to assist with answering your questions. Complex issues to attempt to understand where explained well. My decision about inverter and make of panels was based on a comprehensive comparison chart listing all aspects. Very businesslike attitude from all concerned. Thanks for your wonderful review. So pleased to hear you had such a positive experience with us. We definitely pride ourselves on our professionalism. Very neat hardware install on the ground. Sam was very accommodating and went to some trouble to achieve this. Initially disappointed with some on-roof work. Eastern array racking had a noticeable bow on leading rail and end modules were twisted 5 degree off horizontal. IE had a team come out and rectify this within a couple of days, so very good response from them. The value of full monitoring should be given more emphasis. Regret not getting a modbus unit put in at time of install. Thanks for your great review! Glad to hear that Sam and the Infinite Energy team were able to fix the issues. I agree, full monitoring is great! It can show you so much more and help you to better utilise your solar energy. I'll pass on the feedback to our consultants. Hope you continue to enjoy your new system! Canadian Solar panels and SolarEdge inverter are working well. Excellent app and online monitoring of energy being produced. We have not had the system installed yet. I have done a LOT of research and hope I have made a carefully considered decision that provides the best solution for our circumstance. Contact us again in a month's time and we will have had it installed and have some feedback on the system, the installation, the operation etc. Happy to provide feedback because it turns out that making a considered decision; comparing like for like; getting a fit for purpose system was MUCH more of a minefield than I would ever have imagined. Thank you so much for your kind review. It's great to hear that you found our quote easy to interpret as we are always trying our best to cut through the industry jargon and make things clear and simple for our clients! I'm also pleased to hear that we were able to provide you with the best system that suited your requirements. Enjoy all the savings your new solar system will bring! The tradesmen turned up and informed us was a two day install which was news to us so had to organise extra day off work. Accidental damage to grass, paving and front of house by a spillage of galvinised silver paint. Install was in December, and four weeks later still waiting on response from Infinite Energy to confirm procedure for rectification. Only email we've received is question regards non-payment of account. Have phoned and sent two emails requesting a callback. Am sure that once this is fixed, we would be more than happy to recommend Infinite Energy. Thanks for taking the time to leave your review! So pleased to see you've had a great experience with us. We hope you enjoy all the benefits of your new system. Thanks for leaving your review! Very pleased to see you've had a positive experience with us. If there's anything we can improve on please let us know. Thanks for taking the time to leave your review! If there's anything specific you think we could improve on, we'd love to hear it. We hope you enjoy your new system. Above ratings based on experience from first request for quote to 3 weeks post installation. 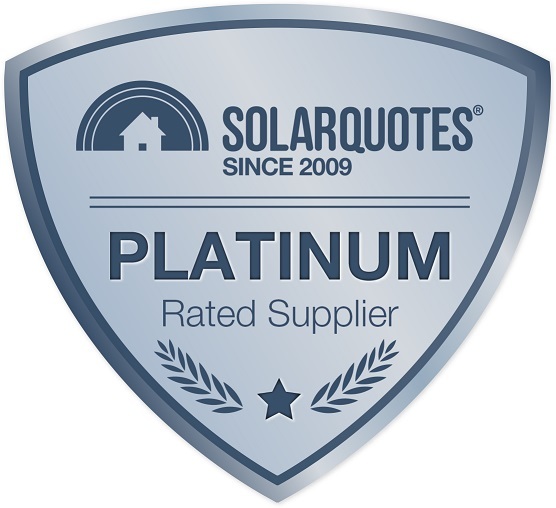 Solarquotes website and information was very much appreciated. Used it a lot. It took me a while between first quotes and finalising as I had surgery in between. Thanks for your great review! Very pleased to hear about your positive experience with us. We hope you continue to enjoy your new system! Armed with all the information I went down the path of carefully considering the quotes and what I would get. After many questions I didn't go for the cheapest or most expensive. In the end I bought middle of the road with a small discount. At this point in time I am very satisfied. Thanks for choosing Infinite Energy as your solar provider! We carefully select our products to ensure our customers are getting the most reliable and efficient products whilst also receiving a great deal. Glad to hear you've had a positive experience with us. I hope you continue to enjoy your new system. Thanks for leaving your great review! Thank you for taking the time to leave your review, we greatly value your feedback. I'm sorry to hear the middle stage of your experience with us was not as great as you'd hoped for. We certainly will endeavour to improve this. I am pleased to hear you found the initial and final stages a positive one. I hope you enjoy your new system. We hope you're enjoying your new system. My experience in dealing with Infinite Energy was simply brilliant. Daniel from Sales certainly knew his stuff and his recommendation on the type of system to suit my needs is certainly living-up to expectations. Daniel's experience with the design layout and his explanation as to why it was best to do it this way was accepted by me and the solar production of each bank of panels is generating in excess of what was advised. In addition to this, everything from sign-up to installation went without a hitch and I quite simply couldn't be happier. In my view, Infinite Energy is a very professionally run organisation and by having a dedicated locally based branch here in Perth WA, made all dealings so much simpler and certainly gave me peace of mind. Thanks for leaving your stellar review! So glad to hear you have had such a wonderful experience with us and everything has one smoothly for you. I have passed on your compliments to Daniel as well. Mark was not what I'd call a "salesman". He ascertained our requirements, gave us quotes for 3 different systems of varying quality, offered his recommendations and left us in peace to make our own decision. The two reps from the other suppliers were "salesmen" who were anxious to get my signature before they left, offering "discounts" and/or "special deals" if I signed up NOW. I didn't. Mark answered some follow-up questions and once we made our decision, the wheels were set in motion straight away. Our system was installed less than four weeks after we signed up (mainly due to us going on a short holiday) and apart from a minor mixup in phone messages, everything went smoothly. System is currently generating approx. 23Kwh per dayon average and the internet connection went without a hitch. We haven't had a power bill yet so I can't comment on what savings we will gain but weekly meter readings show great promise so far. What more can I say but to thoroughly recommend Infinite Energy. Their system may not be the cheapest but as Mark described, it's a "set and forget" deal. It just works! Thanks for taking the time to leave your great review! We love hearing from our happy customers what a positive experience they've had. I've passed your compliments onto Mark as well. We hope you enjoy your new system, and I'm sure you'll notice some great savings when you receive your power bill! Thanks for taking the time to leave us your review! Great to see you've had a positive experience with us. Thanks for taking the time to leave your review! So pleased to see you've given us quite a few 5 stars. I have no doubt you will start to see the savings from your system soon. That's great to hear your system was able to be adapted to suit the requirements of the roof. Our installers always do a great job! We hope you enjoy your new system! Talked the most sense and were not pushy. Thanks for taking the time to leave us your review! Great to see that you have had such a positive experience with us. Thanks for leaving us your great review! So glad you have enjoyed your experience with us. We hope you enjoy all the benefits of your new system! I notice you've only given us a 3 for Customer Service. If there's anything you think we could improve on, please let us know. We value your feedback. I had a great experience, was the only company to send someone out to discuss and he gave me 5 different options to choose from. I will be recommending Infinite Energy to everyone else. Infinite Energy were friendly. They were the first to contact me. Their sales person was quite laid back and not pushy at all. He asked what I wanted and pretty much quoted along those lines. When I asked about options and questioned another installers components offered I began to see that Infinite Energy did have a better quality product they were offering, but when I saw photographs of their installations I decided that I would pay $1000 more and rather have a quality install and superior products. It did mean I ended up with a 3 kW system instead of a 6 kW, but I believe I went with the right company. I installed a Solaredge 5 KW invertor (in case I decide to add more panels later) and Sunpower panels. I'm very pleased to hear you were happy with our services and products. We pride ourselves on delivering great customer service and offering quality products to our customers. We hope you enjoy all the benefits your new solar PV system has to offer! We hope you enjoy your new solar PV system. I was very impressed with my discussions with all three of the recommended suppliers and ended up choosing Infinite Energy based on my discussions and the recommendations of friends who also used them. Infinite and the their installer West state electrics handled any queries I had promptly and to my satisfaction. Overall I am very pleased with my system and the process involved. Thanks for your stellar review! So pleased to hear that you had a great experiences with us. Hope you enjoy all the benefits of your new solar PV system. So glad to hear everything went well and you enjoyed working with us.